It’s been a little over a month and a half since since I decided to build a tiny house. During that time I have basically accomplished nothing – I’m talented like that. What have I been doing? Waiting, mostly. You may remember I bought an old, used trailer shortly after (read: “the day that”) I became committed to the idea of building a tiny house. That same night I finally did some research (I do things backwards, I know) and decided against using that trailer, as I just didn’t feel confident in it any longer. 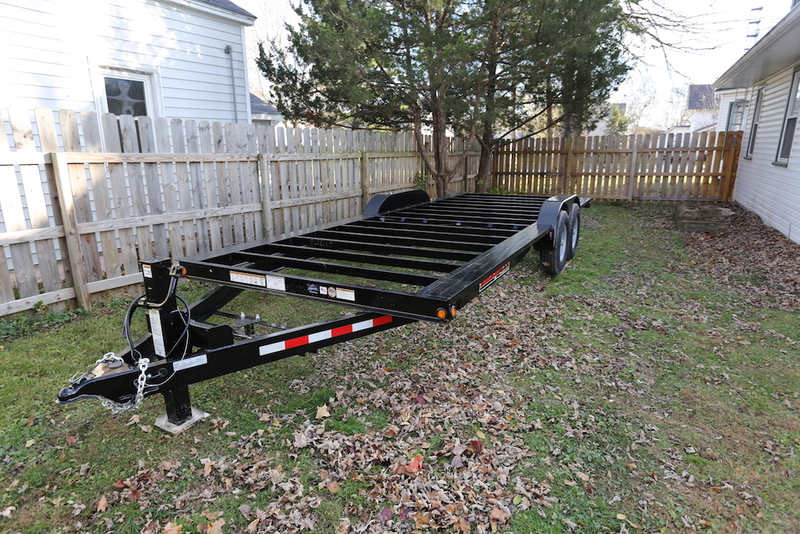 I bit the bullet and purchased and brand-new, custom trailer designed to my specifications. 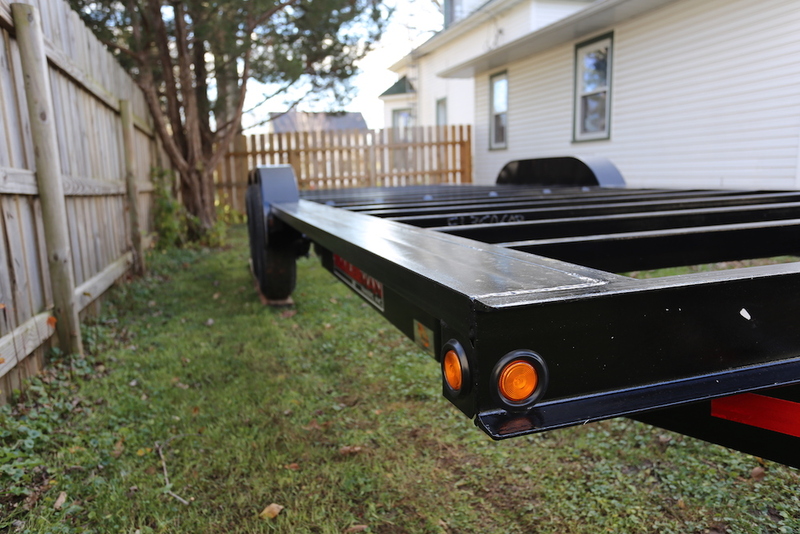 It was somewhat of a pain finding a local trailer manufacturer. The first placed I called never seemed to have anyone to talk to and after leaving my contact information more than once, I finally heard back from them three days later. Frankly, that’s unacceptable to me and not a business I want to deal with. Some places I called didn’t take custom orders, others only seemed to sell parts related to trailers but not trailers themselves, and finally I came across Big O’s Trailers in Portage, Wisconsin. 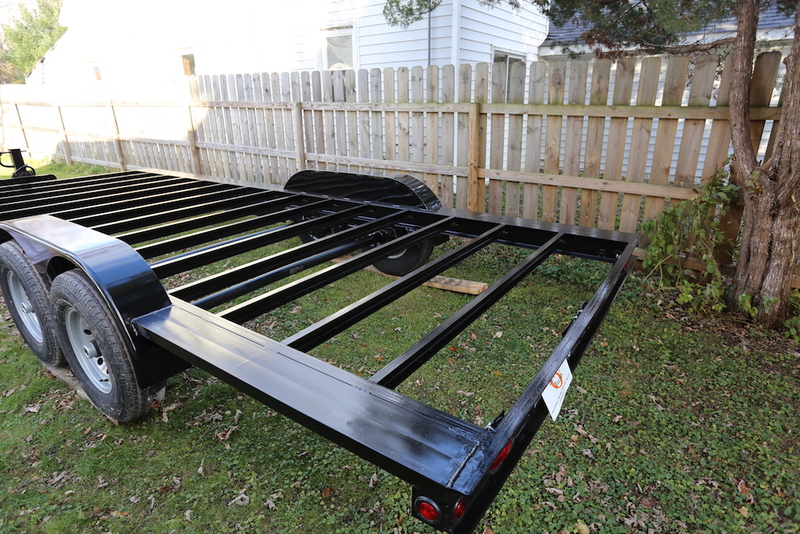 I told them exactly what I was doing with the trailer and made a few upgrades as well as a few “downgrades,” like buying it without stake pockets, a bump rail, or any decking, since I’d be ripping that all off anyways. 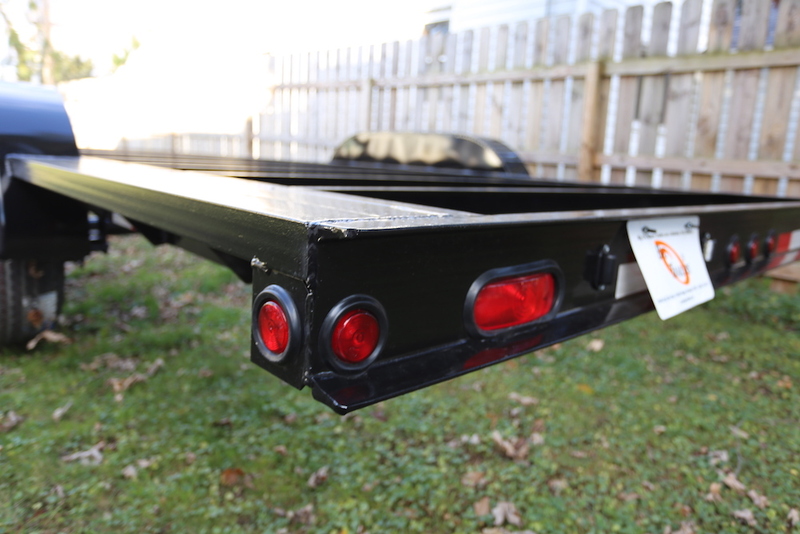 The trailer is considered a “car hauler,” so I also had to order it without ramps or the “dove tail” at the rear, because I wanted the surface of the trailer to be completely flat. 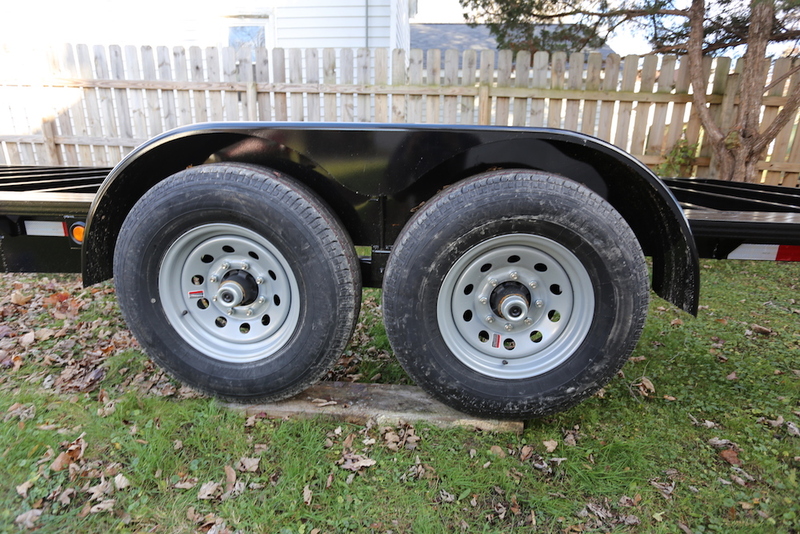 I upgraded to 7,000 lb axles, a 12,000 lb tongue jack, and a one foot longer tongue. 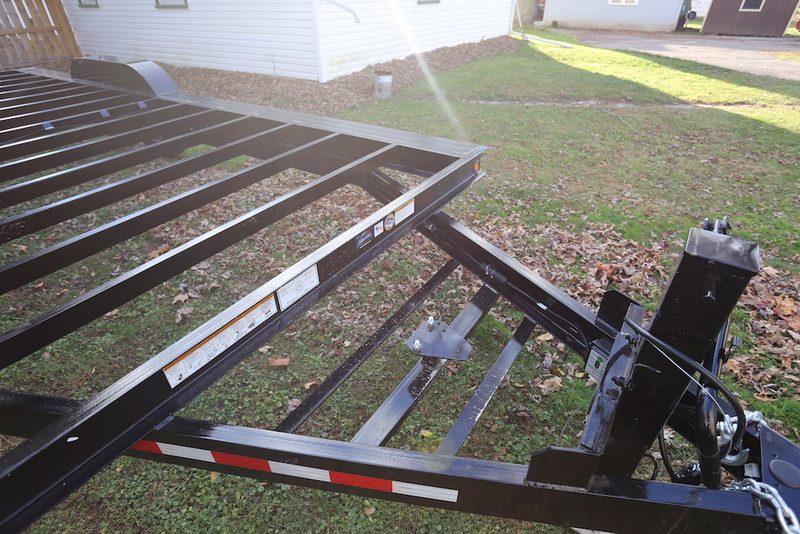 I went with the heavier duty axles and jack to ensure I don’t come close to maxing out the weight rating of the trailer and I extended the tongue to give more room for a “utility shed”. 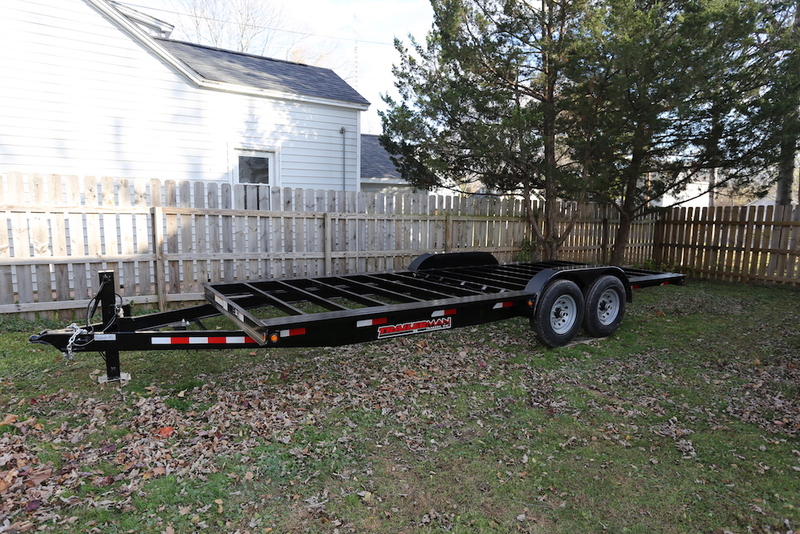 After roughly a five week wait, my trailer finally came in. I picked it up yesterday and it was far above my expectations. 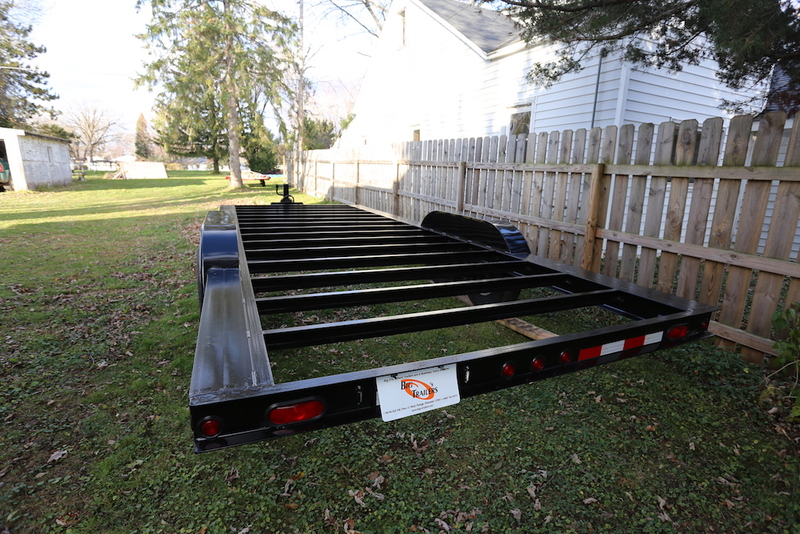 When I initially ordered it without the decking, I was told there would be about a 2″ gap between the “joists” and the top of the trailer since the decking sits in the trailer. However, they were able to raise the joists up, giving me a flat surface on top, and they ran the joists every 16″ on center (not sure it that’s normal or not). 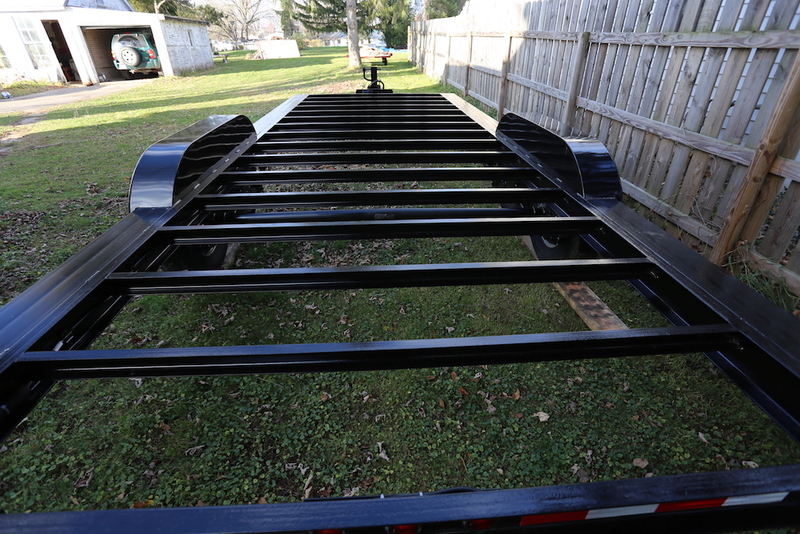 So, if I wanted to, now I can build directly on top of the trailer frame without having to lay down floor joists. 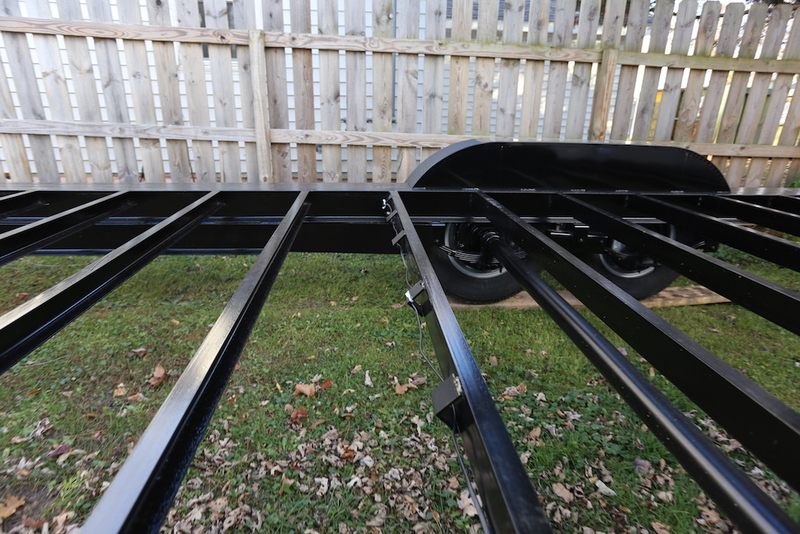 The other awesome thing is the outer edge of the trailer they welded on a 7″ C-channel, making it so that I can attach a wall on top of it and easily drill down and bolt the wall to the trailer frame. The original description I gave them would have made it so I would have had only 2″ of metal below the wall frame, which was probably a pretty terrible idea. The only thing I wish I could have gotten are more angular fenders instead of the round ones. 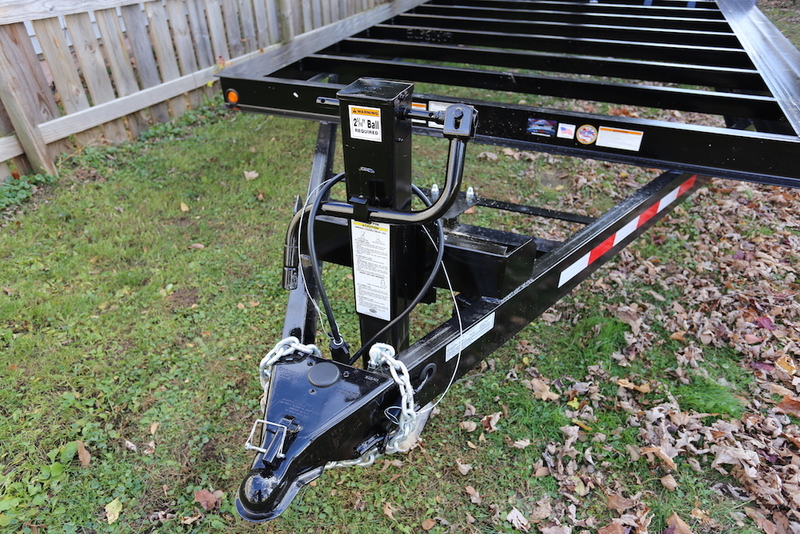 I’ve seen pictures of other people’s trailers with the more angular fenders and it just looks significantly more easy to cut all the sheathing and siding to fit around them. Since getting the trailer, the only thing I’ve done is taken measurements and created a basic 3D model of it in SketchUp, which you can download if you want (for whatever reason). 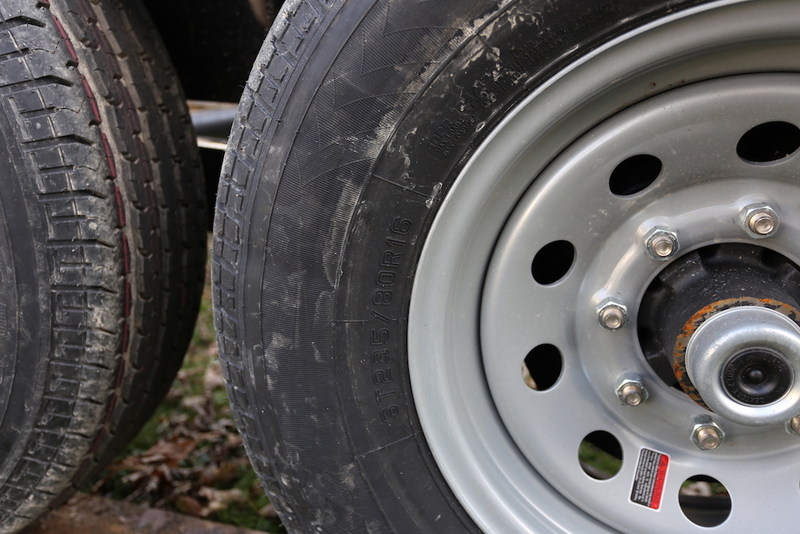 I have a few design ideas in mind and now that I know the exact measurements and locations of wheel wells, I can start working on getting everything laid out the way I want it. I’m still on the fence about building something “standard” or getting a little crazy and trying to change people’s perspective on what a tiny house can be.